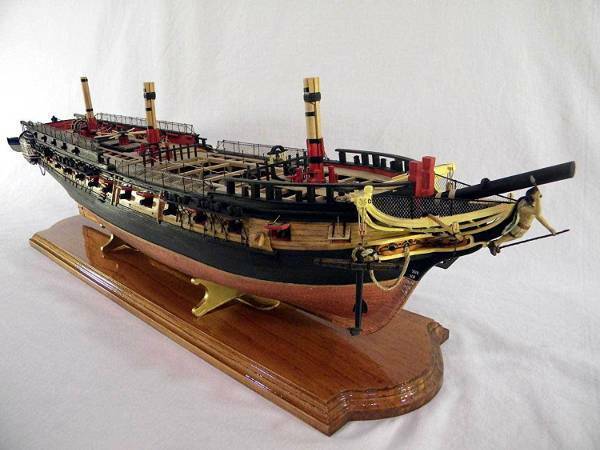 If you are someone who connects him or herself to the wanderlust then travel themed home decor is probably the best way to decorate your space. 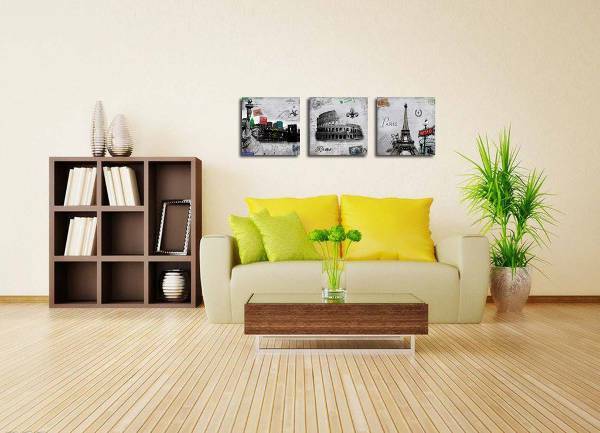 From a battered suitcase to vintage drawers supported with a globe or flat on the wall map, we have today compiled a list of 10 home decor accessories that are going to best reflect your inner traveler with stylish comfort and ease. 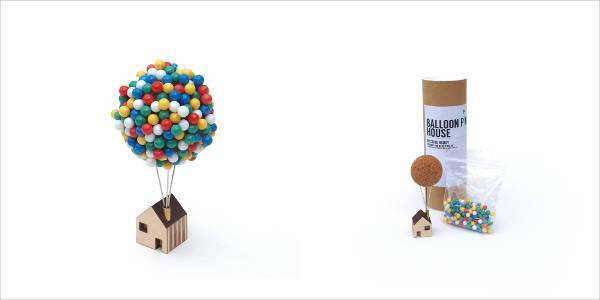 If you have a large-scale map in your bedroom, this Up inspired balloon pin house is definitely going to help you point out the next awaited adventure or vacation for the upcoming months. 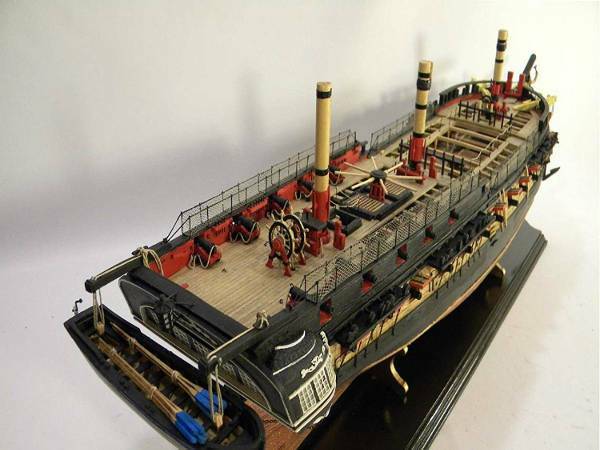 Extensively detailed and relatively economical, the heritage ship models are best suited to be placed on the boater’s desk for dreams out to sea. 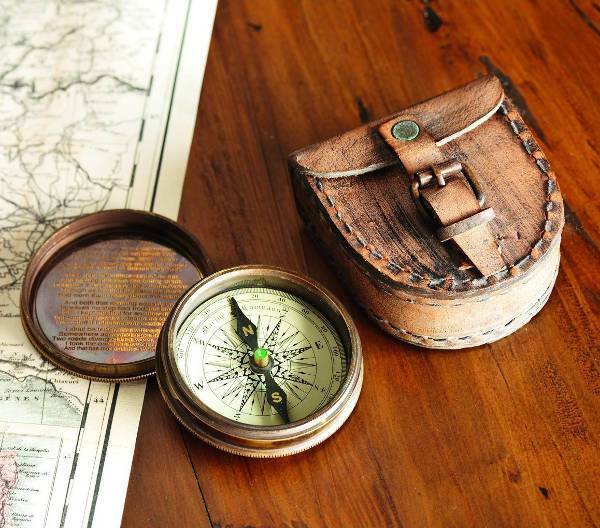 If your home has a sailor who to everyone’s dismay tends to get lost more than often, then this antique brass compass and matching leather case is one of the best home accessories to have in the home. Edgy and unconventional, these travel themed bookshelves feature an array of suitcases in a variety of colors and styles. 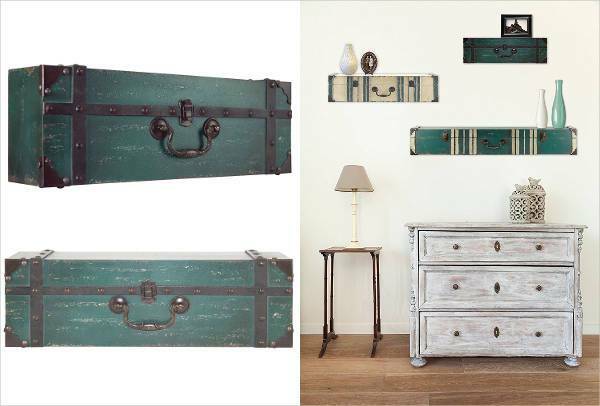 The suitcase shelves are definitely the travel-oriented solution to the spirited individual. 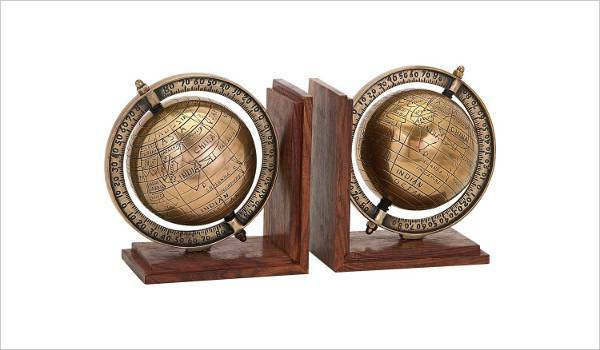 Unique and themed, these gold painted globes will not just serve as impressive bookends but also extend your travel knowledge for the next planned trip. Antique and nautical, this compass-look clock with a rope hanging around time is a perfect addition for the sailor’s bedroom. 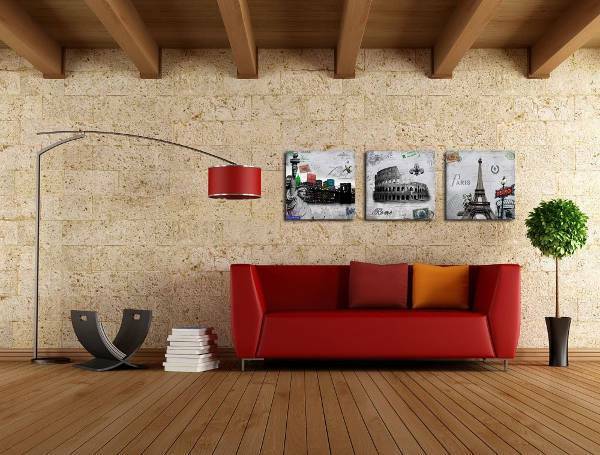 Steady and unique, the clock with its neutral color will greatly complement with varied styles of decor. 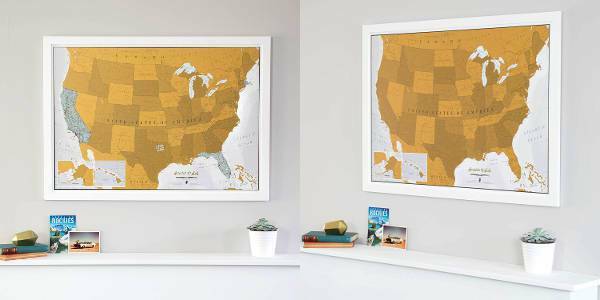 Want a decor accessory that gets you more involved with the travel, then this USA scratch map is the best solution for your wall decor. The areas scratched on the map turn white as you explore the country one state at a time. 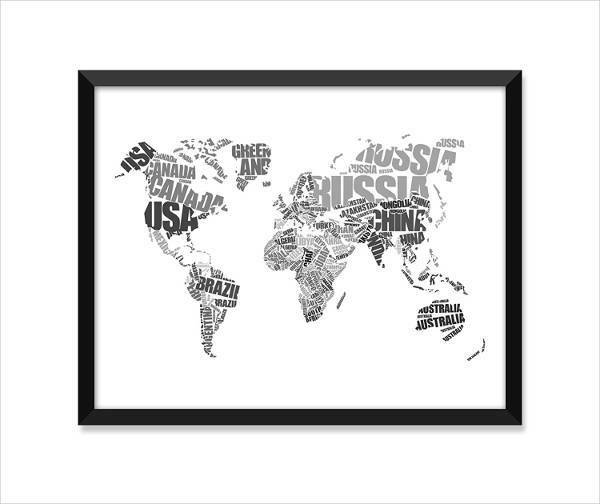 If you call yourself more of a theoretical than a visual person then this monochromatic find tells you where countries lie in a flurry of letters. 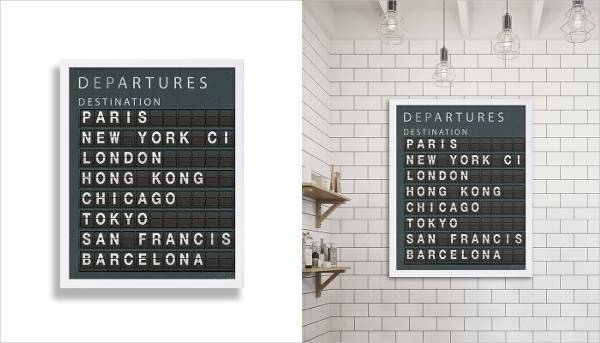 If you are looking for something unique and craftsy, then this black and white departure board with customizable cities is one of the best suitable options to incorporate in your eclectic space. 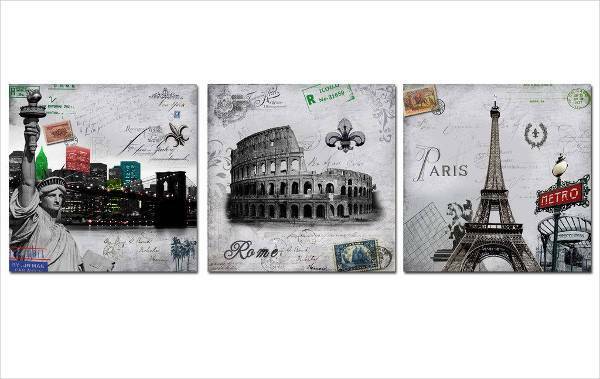 Whether you have seen or not seen the famous sights of New York, Rome and Paris, this three-piece triptych will look exceptional on your living room wall. 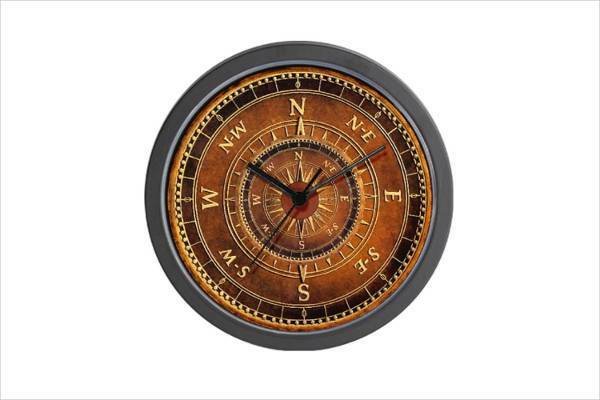 Give your home a travel themed upgrade with these 10 home decor accessories that will certainly affirm your wanderlust impulse!